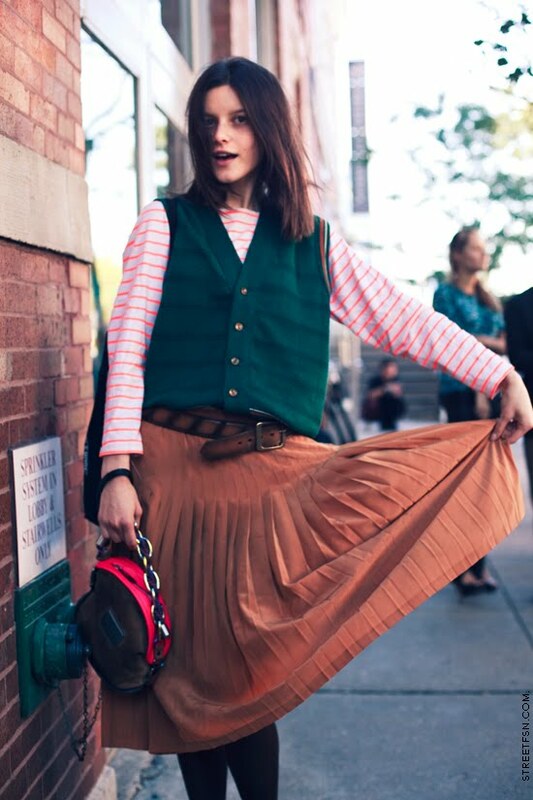 I LOVE pleated skirts!And that color is gorgeous! great colour story here . i saw this person in this months teen vogue issue!